Well... The Saga that was my amp build finally has an an ending... And what an ending ! I give you the VIBROKRAKEN! And... 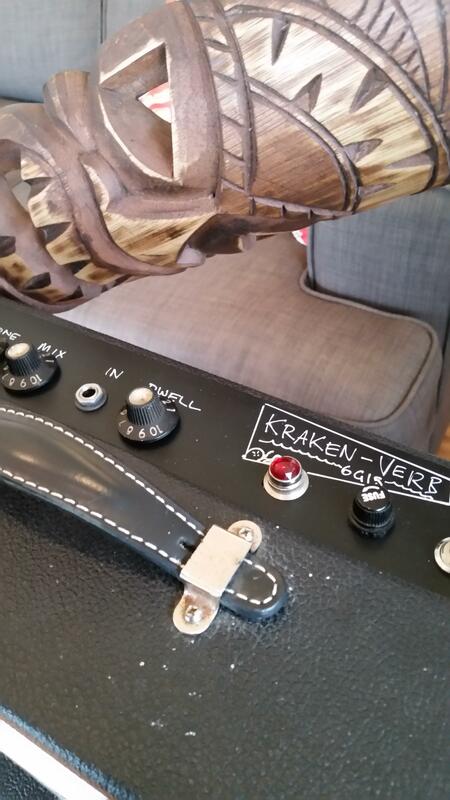 It's matching 6g15 hand wired KRAKENVERB! The amp is a 6g6 bassman clone with added bias wiggle trem, bright switch , power scaling, triode / pentode , adjustable impedance output. 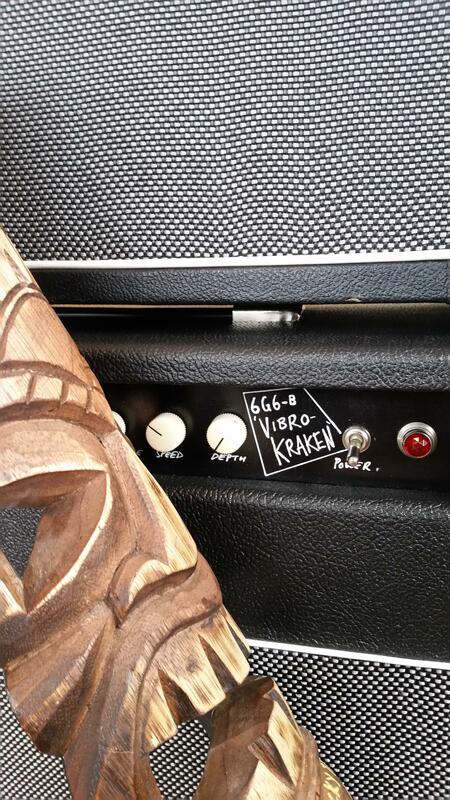 It's a deeply cool amp and shoots surf out of it like a spawning jack trout does milt. Sings with an attenuator and a bit of clean boost. The presence knob is super useful. Having heard this in action, it is glorious. And I don't even like surf. OK, I might a bit now. (Strummers is a pretty tasty player too). That looks frickin' awesome. Kudos! Danger Mouse wrote: Having heard this in action, it is glorious. And I don't even like surf. OK, I might a bit now. Converted you was, young surf padowan! And this was only one of the delightful things to see on an excellent evening. 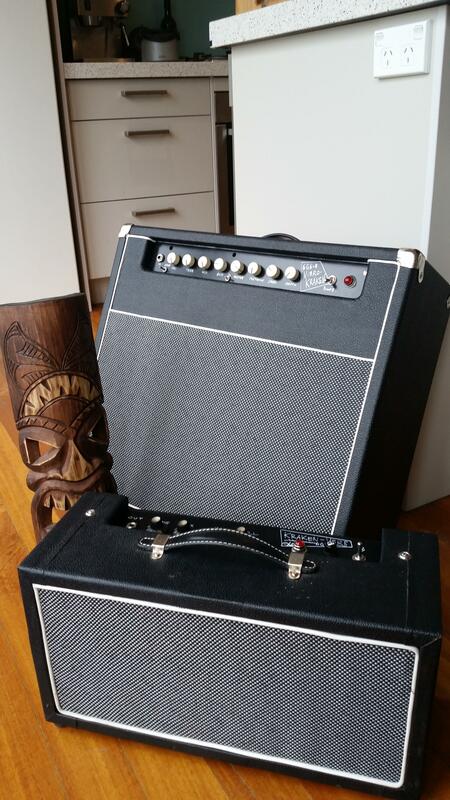 This amp is so cool it made an Ampeg SVT run away and sulk. 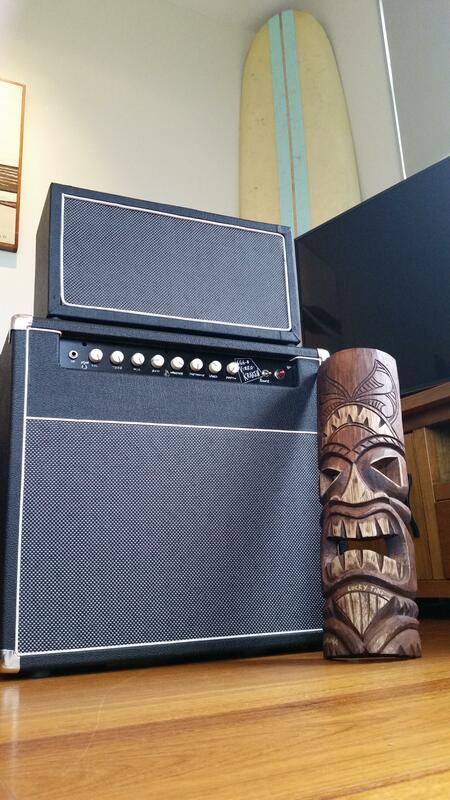 Slowy wrote: This amp is so cool it made an Ampeg SVT run away and sulk. Ampeg is weak! In Russia we use Ampeg as childrens playing toy! That is awesome Strummers. I love the original touches to the amp too. Hope to hear it one day. 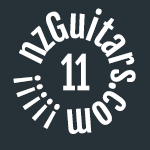 olegmcnoleg wrote: That is awesome Strummers. I love the original touches to the amp too. Hope to hear it one day. Thanks. I think it's pretty awesome. Owe a lot of it to bender. .... Including the Jensen neo that is hybernating in it. Oh yes you are right ! My gaydar was misfiring again though. Turns out I have one too few vaginas to appeal to one of the girls there that night ! On what level does that work for you? Lets just say the collection of eye candy was most gratifying.